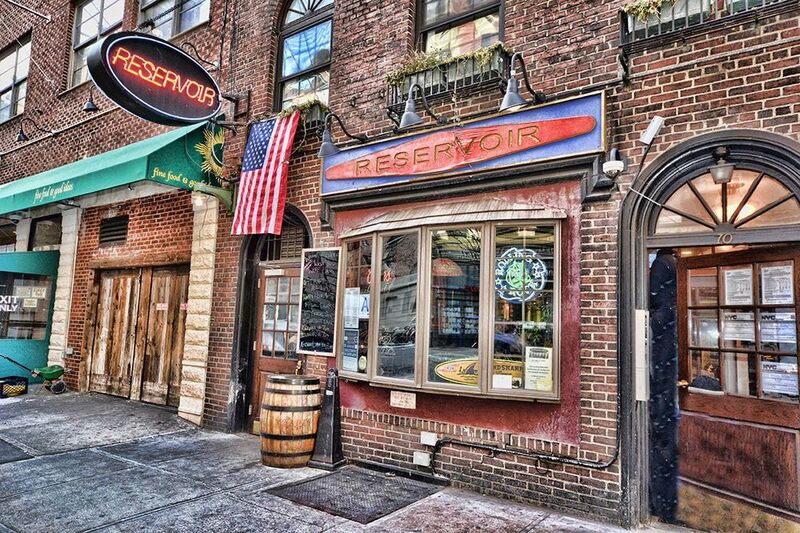 Come in and enjoy a $4 pint in the heart of Greenwich Village. The Reservoir Bar, just south of Union Square, offers late night eats, including great burgers and wings, for less than $10. Always a lively crowd filled with village regulars and NYU students. Friendly bartenders and waitresses add to the experience. The divey village feel will convert young and old New Yorkers into regulars. Good for watching sports too. Add bacon, scallions or chili $1.00 ea. Add bacon of cheese to any burger $1.00 ea. Ask the bartender for what’s on rotation.